It always pleases me to see young players take up golf. It’s a fantastic game which they’ll be able to enjoy their whole lives, and which presents many opportunities for travel and other great experiences. 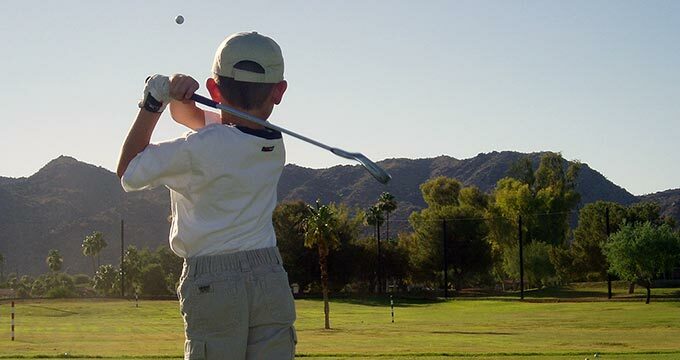 I’m always heartened too when young players want to work hard at improving their game. It shows a dedication and commitment to be proud of, and I’m happy to help them along the way. To that end, I operate Group Junior Golf Lessons at Naas Golf Range each Saturday at 5 p.m.
During these lessons, we work on all fundamentals of the game. Any one session can either give a broad overview of different areas, or can concentrate on just one or two, depending on the needs of the young players themselves. They’re a great way for young players to improve their game, and make new friends while doing so. The cost of these group lessons is just €10 (excluding cost of bucket of balls). Junior players can also avail of individual lessons at the usual rates in either Dublin (Spawell) or Kildare (Naas or Athy). You can use my online booking system to reserve a place at my Junior Golf Lessons in Naas each Saturday. You can also use the system to book an individual junior golf lesson in Dublin. Please contact me directly for lessons in Kildare at Athy Golf Range or Naas Golf Range.